Complete the form below to join us for this FREE webinar. You need to know two things above and beyond all else. How far will you go and how far can you go. You need to understand the difference between self-defense and assault or murder. You also need to know what and how far you are willing to go. ​Many martial arts claim to teach self-defense. Which is the best style to learn? Is it Brazilian Jiu Jitsu, Karate, Hapkido, Muay Thai? Or, is style less important than the goals of the class and instructor? 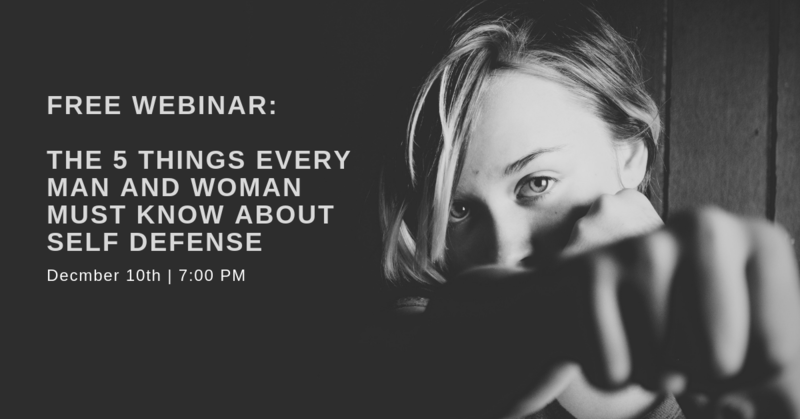 We'll go over what you should look for if you interested in a self-defense-specific program.